If you have a theme in mind or probably just an inspiration, and you want to make it happen as precise and as creative as you are imagining it, then an Event Stylist is what you need! These extremely creative professionals will fill your event with details and elements that you (and your guests) will surely love and adore. Plus, it will save you from all the hassle and worries. In this day and age, we no longer look for the traditional type of event styling. Event goers are now expecting innovative designs and decorations, something that will blow their minds. Good thing, there’s a new breed of Event Stylists who can envision and conceptualize your inspiration and dramatically transform your event in a snap of a finger. Why is it important to have an Event Stylist? Event Stylists are the ones responsible in setting up the mood or vibe of your event. 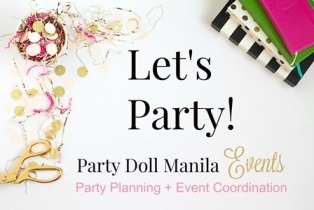 Their aim is for your event to be visually stunning, with a display of aesthetic details that are Instagram-worthy. They also create a personal brand for your event to stand-out and will set it apart from the others. Ø create details that achieves a look or feel, specific to the theme. The primary and most important task of an Event Stylist is to completely transform your ordinary venue into a remarkable and memorable one. Ø meet clients and vendors to decide/make arrangements and to set the budget for the décor. Ø decorates the event place to create a positive impression. How to choose the right stylist for you? 2. Read through blogs and sites to learn more about the Event Stylists: good reviews from past clients will help you decide and have peace of mind. 3. Set your budget: imagine how big you want your party to be. Determine your spending limit. Then from the list of the Event Stylists that you have, see who can work with your budget. 4. Meet the Team: find time to get to know them personally and see who you think can work well with you. You’ll know it’s a perfect fit when you jive at the first meeting.